Spring is well and truly here, but the spring lambs are not quite. We usually start to see lamb slaughter show weekly increases from mid-July through to mid-October. This year all we have seen is slaughter declines. August and September are likely to post their weakest slaughter rates since at least 2009. The question is, how is this going to impact supplies for the rest of the year? 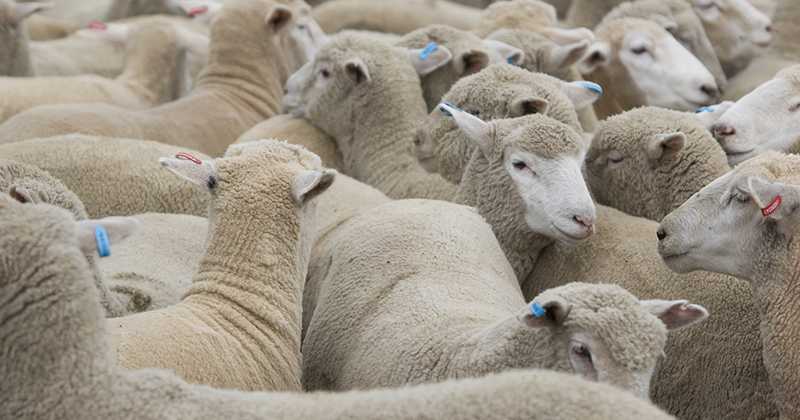 The latest Australian Bureau of Statistics (ABS) slaughter data released in early September showed a strong 9.6% increase in lambs slaughter in July compared to year-earlier levels. Higher prices and dry weather encouraged turnoff of the last of old season lambs. It’s also likely that the 158,700 extra head was made up of Merino wethers and both Merino and maternal meat breed ewe lambs which were previously destined to boost flocks. We know from Meat and Livestock Australia’s (MLA) weekly slaughter statistics that lambs slaughter has taken a serious hit since the end of July as the new season supply failed to materialize. Figure 1 shows our estimate of where the official slaughter numbers might sit for August and September. August lamb slaughter is likely to be down 20% on 2017, and September is currently running 30% lower. We haven’t seen August and September lamb slaughter this low since at least 2009 and could be the lowest since 2005. Figure 2 shows that in 2009-10 and 2005-06 lambs slaughter levels finished up at 20.4 and 17.3 million head respectively. In a normal season, we assume that low slaughter early in the season will mean more lambs will come to market later. This is based on steady or rising annual slaughter rates. The Australian Bureau of Agricultural and Resources Economics and Sciences (ABARES) forecast 2018-19 lamb slaughter at 23.5 million back in June. It’s becoming clear that lamb slaughter is not going to reach the levels seen in 2017-18, with marking rates well back. We really are in the dark as to how many lambs are out there, but we can use historical slaughter rates at a guide. Figure 2 shows where we expect financial year slaughter to sit at with high (ABARES forecast), medium (21 million head) and low (19 million head) levels. It indicates how the forecast slaughter levels will play out if we deduct what has already been slaughtered and if annual seasonality is applied to the remaining nine months. If we somehow manage to find 23.5 million head of lambs to slaughter in 2018-19 supply will be well above last year for the remaining months. The medium and low scenarios show a significant monthly supply gap despite the slaughter declines we’ve already seen. In terms of price, the medium and low slaughter forecast levels take prices to new records. Figure 3 shows our demand curve and extends it to slaughter of 19 and 21 million head. Under the demand equation we’ve seen in recent years it gives average prices of 1059 and 800¢/kg cwt. We don’t expect prices to move through $10 this year, but lower slaughter paints a positive picture for prices.